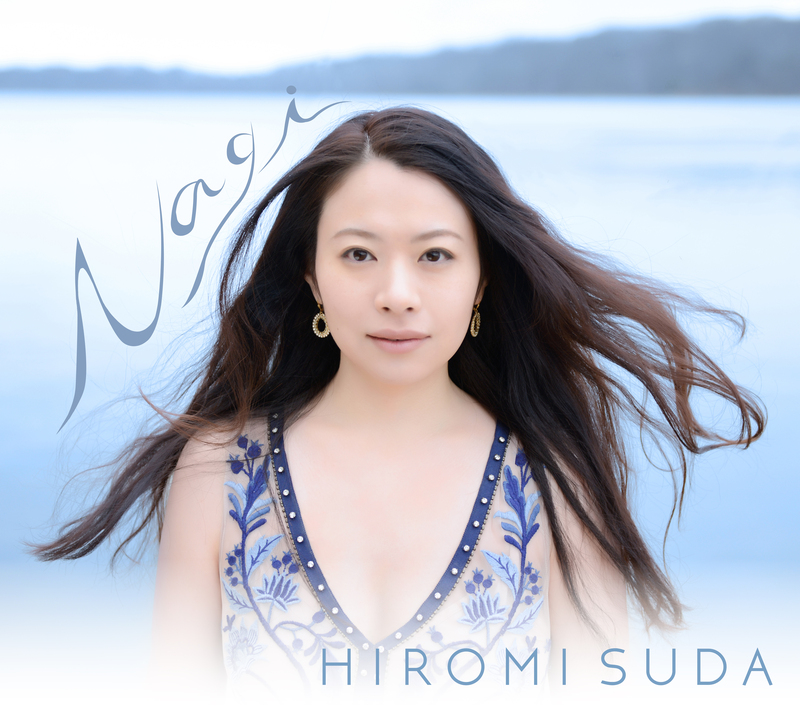 Blujazz proudly announces the March 7 release of “Nagi”, the third album from singer-songwriter-composer Hiromi Suda. “Nagi” is the latest and most fully realized iteration of Suda’s singular hybrid conception, by which she mingles and juxtaposes the musical cultures of Japan and Brazil. The album was first released in Japan this past July on Inpartmaint Inc. to critical acclaim. As of March 7th, “Nagi” will be available worldwide on HDTracks and on iTunes. To celebrate the release of “Nagi”, Suda will be appearing at Subrosa on March 9, 2017 in New York City. A native of Yamanishi, Japan, Ms. Suda calls upon her native tongue in singing the poetic lyrics of six of recently composed originals, at once simple and sophisticated, to scores that blend Japanese folk, contemporary pop and modern jazz vocabulary. She transitions to Portuguese on seven songs by the iconic Brazil composers Antonio Carlos Jobim, Caetano Veloso, João Donato, Roberto Menscal, Sergio Mendes and Geraldo Pereira, illuminating the lyrics and phrasing the rhythms with nuance, soulfulness and idiomatic authority. For the March 2015 recording session that generated “Nagi”, Ms. Suda, who lives in the borough of Queens, convened an ensemble of New York A-listers, hailing from four continents, to whom she offers ample space to display individuality and creativity. All but one (Israeli bassist Haggai Cohen-Milo) played on her previous album “Sou” from 2012, on which she offered three originals and eight Brazilian songs. That album title has double meanings in Japanese (“to care about someone or something”) and Portuguese (“I am”). Among the returnees on “Nagi” is master guitarist Romero Lubambo, the Rio de Janeiro native who was Ms. Suda’s producer on “Sou”; on both dates he upholds his long-standing reputation for complementing singers, as he has done in the duo context with Dianne Reeves and Leny Andrade. Nagi producer Anne Drummond, out of Seattle, plays flute, enhancing a performance c.v. that includes long partnerships with jazz masters like Kenny Barron, Stefon Harris and Lew Soloff. Rhode Islander Julian Shore contributes one arrangement and surefooted harmonic guidance on piano and keyboards. Drummer Keita Ogawa, from Nagasaki, Japan, started playing music with Ms. Suda in 2005, soon after she left Japan to matriculate at Berklee College of Music, where he was also a student—he entextures the rhythmic palette with pandeiro, udu and djembe in addition to the drumset. Ms. Suda wrote and arranged most of the songs after releasing her similarly admixtured second recording, “Sou”, taking advantage of a busy performance schedule that brought her to such New York venues as the Blue Note, the Zinc Bar, and the Cornelia Street Café, as well as the Kennedy Center in Washington D.C. and various high profile stages in Japan, to “build the arrangements together” with her various bandmates. Ms. Suda began writing songs as a child; as a toddler, she received basic ear training from her mother, who is a classical violinist, and she’s been singing since she learned to speak. In junior high school, she studied with a local Yamanishi jazz singer. She majored in English Literature at Aoyama Gakuin University, but continued intense studies in music towards the aspiration of subsequently attending Berklee, where she intended to focus on composition, arrangement and jazz. During Ms. Suda’s first semester at Berklee, a lingering ear infection caused her to begin “to think about what I really wanted to do with music.” A concert by Elis Regina’s daughter, Maria Rita, then attending Berklee, sparked an already existing interest in Brazilian idioms. She immersed herself in classes on Brazilian music at Berklee, and spent the summer of 2007 doing fieldwork in Rio De Janeiro. There she took pandeiro lessons with Celsinho Silva and Jorginho Silva, vocal lessons in the choro style with Amelia Rabellow and in MPB style with Suely Mesuqita, and attended concerts by such artists as Marisa Monte, Gilberto Gil, Toquinho, Maria Bethania and Mônica Salmaso.